Am BISS GCHB Au Ch Dawnglow Man In Black "Cash" x BISS GCHB Golden Gait Jerabee Joyful In Hope "Merry"
We welcomed 2 red boys, 1 black boy, 3 black girls, and 1 red girl to the Bellamy family on January 5th, 2019. All puppies are spoken for. Watch for these promising puppies in the show ring this summer! 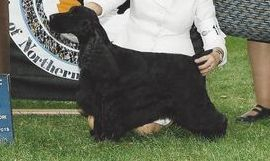 However, we may know of reputable breeders with puppies currently available, so please contact us here if interested. You may follow our facebook page for photos. Prior to leaving to their new homes, all of our puppies will be docked, dewclaws removed, up-to-date on their vaccinations, pass a veterinary puppy wellness examination, are microchipped, and have begun basic house training and socialization. We place our puppies at approximately 10 weeks of age and encourage you to visit our home and meet the puppies and their parents in order to find the perfect match. 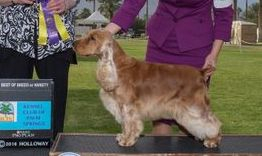 Our puppies will also come with a packet of information that includes their AKC Registration Application, new ownership contract, pedigree, sire/dam health clearances, photos, vaccination record, Purina puppy packet and more. 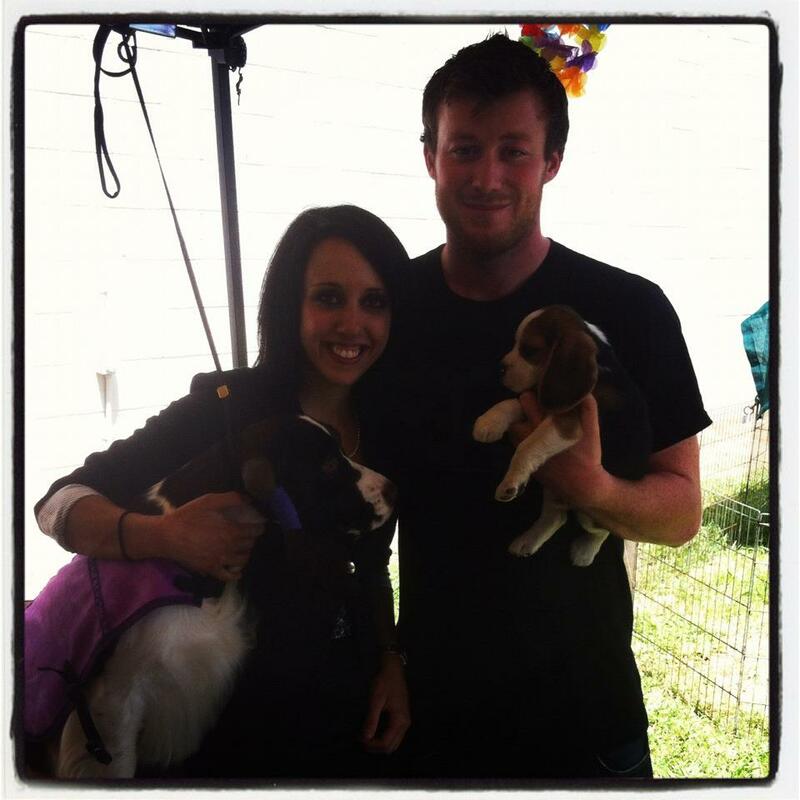 If you are interested in acquiring a puppy, contact us to fill out a questionnaire. If we feel like your family may be a good fit, we will put you on our waiting list in hopes to help you find your next family companion.